So relieved to find your website. Your prayers are wonderful. If I order 10 copies….is it all of the exact same prayer. Can you order 1 copy of each for the whole years in booklet form. Hello Sue, thank you for stopping by. We’re very happy that you like the prayers. If you ordered 10 copies, you would get 10 copies of the 52 prayers (one a week) for 2015 (a nice present for your friends to encourage them to pray!) You can also order a Kindle copy at Amazon, the links are above. The prayers in the booklet are the same as the ones you will find on this site. We have a few copies left from prior years. Please email us at prayforms@sharifbible.com and let us know if you are interested. God answers prayers in the name of Jesus, may the Lord bless you! Will I be able to order one copy again this year as I was able to do last year? Thank you, and God bless you and your work! Lavana, you will be able to, we are working on the Kindle edition for 2016 right now. When it is ready, we will link to it from here, so please stay tuned. May the Lord bless you! I prefer to order via US Mail. ust checking the current price Will be ordering 150 copies again! Thank you–please look inside the 2016 edition to see how to order by regular mail. The prices have not changed for 2017. 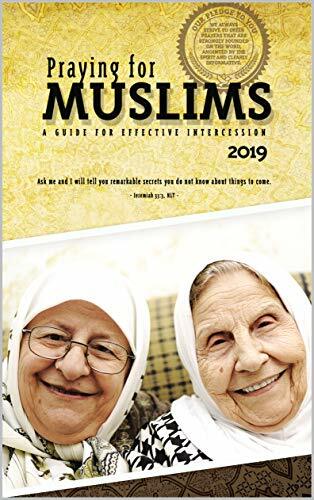 Hello, Please confirm that we placed an order for 20- 2018 prayer guides. Thank you. Thank you for your work! This is my first year praying thru the year for my Muslim brothers and sisters! I appreciate the way you educate us about their culture and ways of thinking!! Robin, thank you for your encouraging words! May the Lord continue to bless you. Just wanted to let you know that the Italian link does not seem to be functional.